Too Big Or Too Small! You do what is best for your property. Improve its value, functionality, and appeal with the help of Permian Paving. We are a full-service paving company in Midland, Texas, that serves commercial and residential customers. Our dedicated team performs repairs, installation, and maintenance work for a variety of asphalt paving projects. Contact our paving contractors for a consultation and choose a company that delivers solid results. Paving sets a path for your productivity. Choose a paving company that adapts to your needs. We take on projects of any size. Our versatile team uses the latest equipment and technology to provide effective repairs and installations that improve the look and utility of your property. From new installations to routine maintenance, our paving services are tailored to your specific needs. Work with pavers who treat you like family. As a locally owned and operated business, we know how to attain results that benefit you and your property. Whether you require a new driveway or a larger parking lot, our paving contractors respond to your situation to attain completely customized results. Your property is unique, which is why we treat it that way. When you work with our paving contractors, you can have confidence knowing that your project is in good hands. Our owner is always present at your work site to ensure thorough service. Of course, we always work with towards your specific goal. The project is not complete until we gain your total approval. As your dependable paving company, you can count on us throughout any stage of your investment. From preparation to final cleanup, our pavers are here for you. Save time and money with our dependable sealcoating service. Asphalt is tough on moisture and provides a level surface for your vehicles and equipment. Sealcoating revitalizes your pavement's look and functionality. We recommend sealcoating on a routine basis so that it stays new and is prepared for any type of weather. Speak with our paving contractors to learn if this economical maintenance option is right for your current installation. 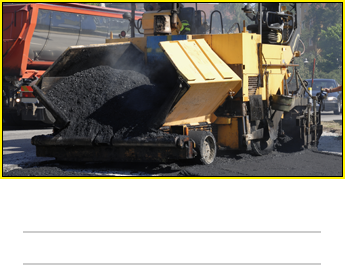 Contact our paving company today to learn more about our asphalt services. We proudly serve commercial and residential clients throughout Midland, as well as Odessa, Andrews, Fort Stockton, and Big Spring, Texas. Call Us at (432) 203-3078 to Learn More!